Carry New Jersey's history wherever you drive with Discover NJ History plates on your vehicle. Adapted from a painting by renowned New Jersey artist Harry Devlin, these beautifully designed plates will remind others that history is never far away in the Garden State. 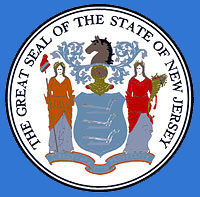 Buy the new plates and remind residents of New Jersey's historic preservation efforts. Proceeds from the sale of these plates go into the Historic License Plate Preservation Fund to save priceless historic buildings, artifacts and documents. You'll help support New Jersey's historic sites and collections while aiding in historical research.